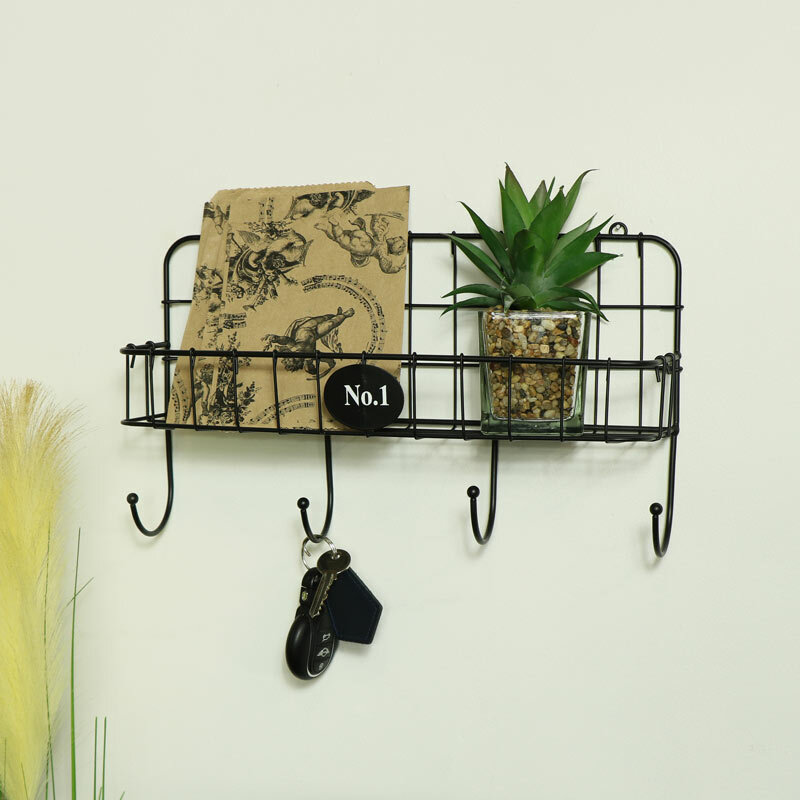 Wire metal wall storage rack with hooks in a black painted finish. Ideal storage solution for the kitchen and bathroom with hints of a retro or industrial feel. Great multi-purpose and practical design with wire rack shelf and 4 hooks below. 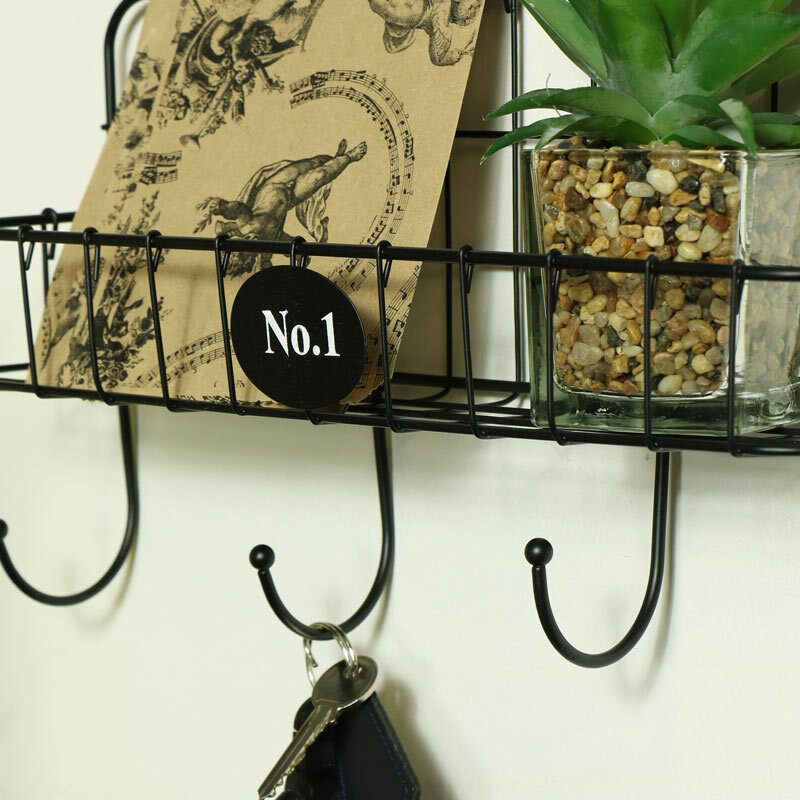 Use for holding keys and letters or for displaying little plants or bottles & toiletries. With even more handy storage solutions and ideas to choose from. Metal wire frame in black finish. Easily wall mounted with 2 eyelet holes for affixing to the wall with screws or hooks (not included). We have a fantastic selection of gifts and home accessories for you to choose from.